Connecticut, the Constitution State, is rich in history and landscape. Yankee ingenuity is a great source of pride for us Nutmeggers. The state abuts the Atlantic Ocean, offering a home to some great seaside towns. From the gold coast on Fairfield County to the farmlands of the east and west, you are never very far from history, action and culture. Although the state is small, it packs a population of 3.5 million, more than three times the state of Montana. 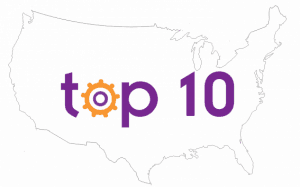 In this tiny state there is a variety of must see attractions to get a flavor of all things Connecticut. Okay so there are not really dinosaurs here, but there are 200 million year old tracks which were discovered in 1966. At Dinosaur State Park, kids (and dino enthusiasts in particular) can imagine the dinosaurs tromping around these parts so many years ago. There are trails here to search for tracks as well as fabulous specimens in an indoor interactive exhibit. In season you can even cast you own tracks!! Explore the city of Rocky Hill for all it has to offer. Lyman Orchards in Middlefield is a classic Connecticut orchard. Since 1741 and for eight generations this family farm has been giving us their best–my how they have grown. All the bells and whistles are available here. There are apples to pick, pumpkins to choose, corn mazes to puzzle and festivals to be had during harvest season in the fall. Take your kids and spend a half day frolicking in the orchards and wandering your way through the maze. In the winter they host a Winterfest with dog sled pulling, ice carving competitions, and horse drawn sleigh or wagon rides depending on snow cover and food!!! Baked goods such as Apple pie are always a tasty treat. 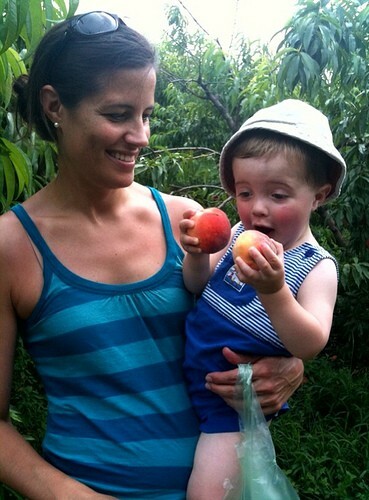 Share your favorite Orchard or Farm with other Trekaroo users, write a review. Connecticut is home to the first (and still active) Naval Submarine Base, New London. Take inspiration and visit The Submarine Force Library and Museum operated by the US Navy. The museum is home to the Nautilus, the first nuclear powered vessel and the first to go 20,000 leagues under the sea. Parking and admission are FREE. Tours of the Nautilus are self-guided, but you are provided an audio wand to help understand the exhibit. From here you can continue your armed forces history tour into Fort Trumbull. Built between 1839 and 1852, this elaborate stone fort on the shores of New London was erected to protect US shores. It’s construction and use is fabulously outlined in the Visitors Center which features cannons, artillery and restored living quarters and laboratories. Book a hotel in Groton to get ready for your adventure. Perched high atop the Connecticut River sits the elaborately designed Gillette Castle. 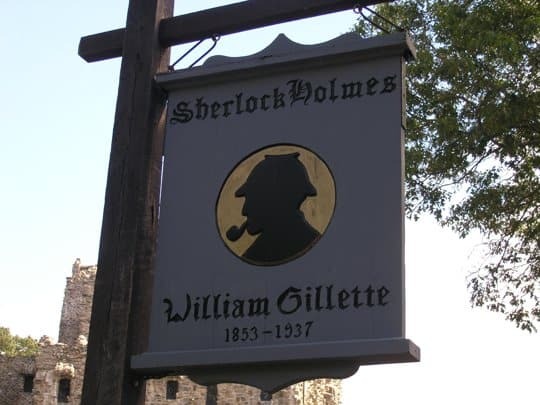 Designed by William Gillette, the actor who coined the term ‘ it’s elementary’ in his portrayal of Sherlock Holmes, you can tour this castle now operated by the Connecticut State Park system. Built from 1914-1919 on 184 acres the castle grounds are now home to picnic sites and trails overlooking the river. This odd, intricately modeled castle has secret mirrors, glass mosaic walls and crazy locks for the doors. You can drive to this destination or for an extra adventure take the Chester-Hadlyme ferry across the Connecticut River which operates seasonall ( April 1st-November 30th)y. To extend your visit in the Connecticut River Valley check out the Essex Steam Train and River boat ride. These two attractions are run by the same company and give family’s the ability to tour the scenic Connecticut River valley by boat and/or by train. As part of the fantastic Connecticut State Park system, buy the heritage pass and get access to Fort Trumbull, Dinosaur and Gillette Castle state parks for $67/family of 6. America’s oldest operating amusement park, Lake Compounce is named after Chief John Compound a Mattatuck/Tunxis Native, referencing the states native heritage. Since 1864 when it was first opened as a lake park, families from all over New England and the tri-state area come to the park for chills and thrills. The lake hosts the largest outdoor water park in the state with attractions for kids of all ages. The shipwreck at Clipper Cove has water slides and cannons to cool you off. 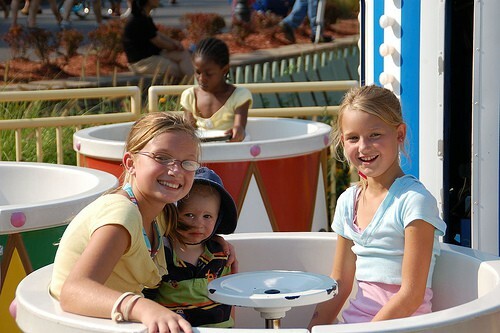 In the park are the Zoomerang for big kids providing up ended thrills and a large Kiddie land with rides modeled after the big-kid rides to while away the whole day. Although there are thoroughly modern and thrilling rides at the park, there are also nods to the park’s history with a trolley car ride and an exciting wooden roller coaster named Boulderdash which is built into the side of Southington Mountain. For a more relaxed visit, your family can also spend the day at the lake swimming and sunning. Been to Lake Compounce? Share your scoop. The Mashantucket Pequot Museum and Research Center is located in eastern Connecticut on the Pequot reservation. The museum is native owned and operated and is considered world class in exhibits and education and tells the story of the Peqout people who established a reservation in 1666 making it one of the oldest in the states. From dioramas of ancient times and walking tours where you become part of the exhibit, your family learns of the both the ancient life and trials and how they live and function in today’s modern world. During certain times of the year they offer programming included with admission that allows kids to play a native game like lacrosse, which was initially a war game, or they can create a native instrument. Plan on spending the whole day and still not seeing everything, especially if there are storytelling, dancing or other events happening. Save the vivid depiction of the Native American extermination for the older kids, but soak in the rest of the exhibits with kids of all ages. You can also sample some Native American fare along with typical American dishes at the Museum Restaurant. 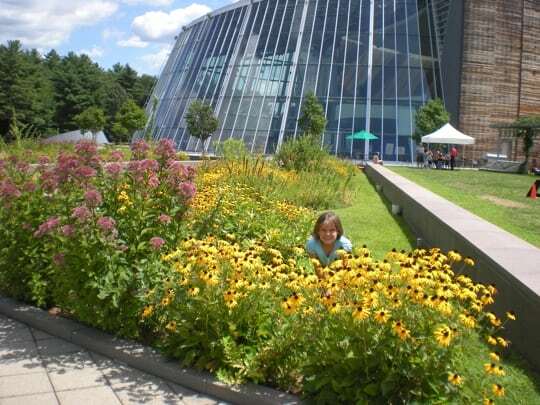 Find lodging near Mashantucket to extend your museum visit. Samuel Clemons (aka “Mark Twain”), the author of American classics like The Adventures of Tom Sawyer and The Adventures of Huckleberry Finn, lived right here in Connecticut. Visit Mark Twain’s home to learn about his life, work, antics and influence on American Literature. Most kids have or will read these classics. Designed and built in 1873 -1874, the house is a masterpiece and constantly undergoing historically appropriate renovations. 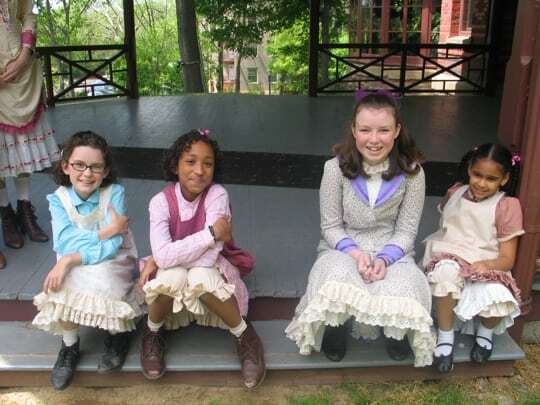 An onsite museum houses artifacts relevant to Twain’s work as well as rotating exhibits such as puppets modeled after characters in Twains own ‘A Connecticut Yankee in King Arthurs Court’. You may also wish to continue this literary journey in Hartford by visiting the home of Harriet Beecher Stowe at the Harriet Beecher Stowe Center. Famous for her book about slavery, Uncle Tom’s Cabin, children will learn that she was a role model capable of invoking change at a time when women had difficulty being heard. A visit to these two sites will broaden your child’s mind and be an enjoyable lesson in history. Hartford is full of family activities, hotels and restaurants. The mountains of Connecticut would be considered hills by many standards but the scenery here is fabulous and Mount Frissel at Mount Riga State Park, our highest peak at 2300ft, is attainable even by kids, albeit by a tough hike. Mount Frissel is at the northwest corner of the state and borders New York and Massachusetts which means you can be in all three sates in one hike!!! The wildlife spotting is great and this area of Connecticut is unspoiled and unpopulated. The area is especially beautiful during foliage season. Leaf peepers, tourists heading to New England just for the leaves, are out in full force during autumn. Drives in these parts can bring you to some iconic covered bridges, historic homes and tasty roadside restaurants. On the way north check out the West Cornwall Covered Bridge that passes over the Housatonic River. If you are up for an adventure, camp at the rustic Housatonic Meadows State Park late spring through the beginning of October. 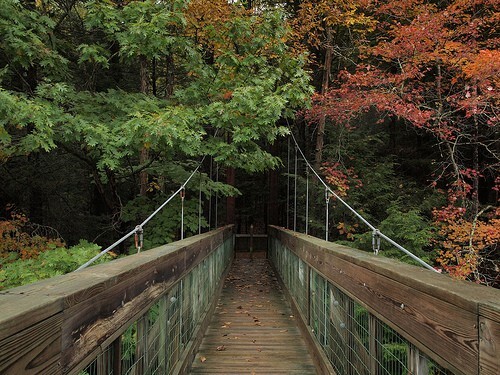 Plan ahead with Trekaroo’s list on the best Fall foliage spots in New England. If plain cheese pizza is what your kids like make sure you ask for cheese at the landmark New Haven pizza joint Frank Pepe’s Pizzaria Napolatana. 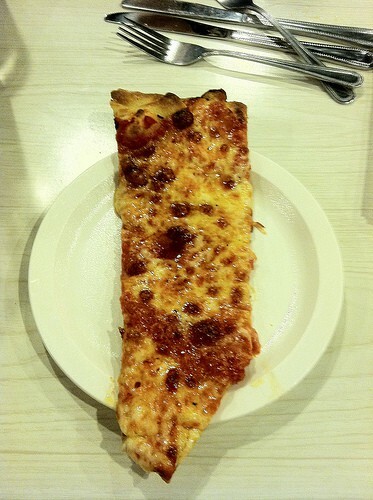 In 1925 Frank Pepe invented the now famous New Haven style pizza and Pepe’s considers cheese a topping. This is an experience in itself. If you want to sample the pies get there early. There is always a line at the door of people waiting for tables. Sally’s Apizza established in 1935 is a true competitor, and you will find lines as well. While you are in New Haven, walk the grounds of Yale University and check out the Peabody Natural History museum. 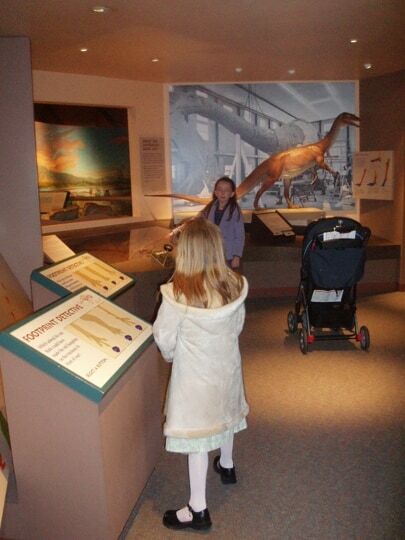 Paleontologists of all ages will enjoy the T-Rex skeleton on display in the grand hall along with other artifacts. Kids will delight in hands on area with the ever busy leaf cutter ants building their nest. At times professors from the prestigious university are on site to answer questions. Our budding entomologist has met with scientists here and enjoyed talking bugs. Explore activites and lodging in New Haven. 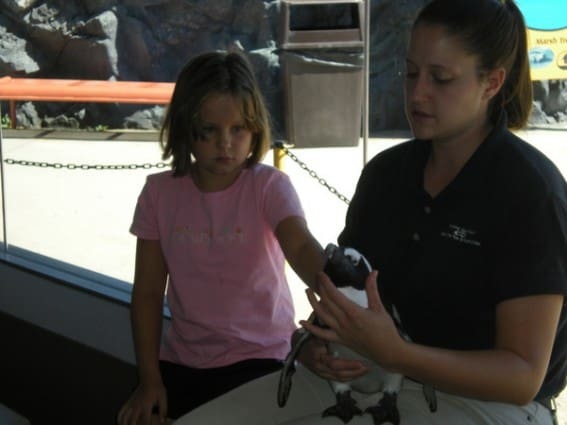 Mystic Aquarium is located in the quaint seaside town of Mystic, full of charming shop lined streets and several restaurants including the famed Mystic Pizza from the movie of the same title starring Julia Roberts. Mystic Aquarium provides a glimpse into the undersea world with tanks containing sharks, eels and other marine life. You can also take in a sea lion show and meet Surfer, their youngest and boldest. Programs involving feeding the belugas, caring for the penguins and for the less brave, touch pools of sea life and cow nose ray feeding. Additionally in town is home to Mystic Seaport Museum, the largest museum of its type in the USA, where the sea-life history of Connecticut is brought to life. Whaling exhibits, ship-building displays, boats to board and stories of the slave trade are just a few of the exhibits you can check out here. For an even more fantastic ship experience check out Project Oceanology offered at the nearby UCONN campus at Groton on Longpoint. A charismatic and educated marine biologist will be your guide as you cast nets and check out your catch. You will also complete experiments on board, a great combination of a fun and educational adventure. Remember the sunscreen!!! Check out this trip planner for the fabulous small town, Mystic!